Hungry people easily respond to local listings. Be found! Diners who loved your restaurant’s food and atmosphere are your best source of advertising. Glowing reviews from happy diners can attract new business like nothing else. Unfortunately, even a few poor reviews can keep them away. This is especially true when the business doesn’t respond to the review. Reviews are also an excellent source of information for restaurant staff. It tells you things such as when you’re the busiest, the most popular dish on your menu, and which employees provide exemplary service. 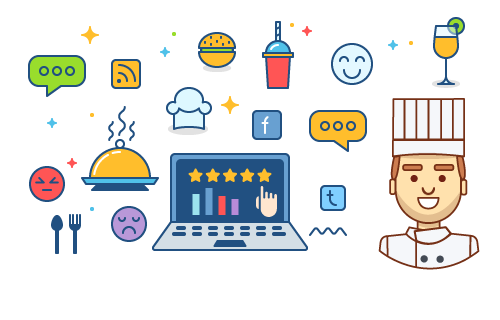 Information such as quality control and menu selection can be gleaned by close monitoring of rating websites and restaurant reviews. Improving your restaurant’s rating by even half a star can increase patron capacity by one-third to one-half during your busiest dining times. A full 85 percent of people who search for a restaurant on a mobile device follow through by visiting a restaurant listed in search results. Two-third of smartphone users visit a nearby restaurant within an hour of their search. When it comes to search engine rankings, local listings come in third for the most influential factor. 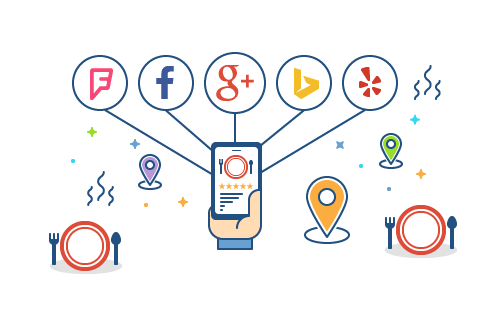 By keeping your restaurant information updated with consistent listing details such as name, address, and telephone number, people on more than 50 review sites can find your restaurant at a critical moment. 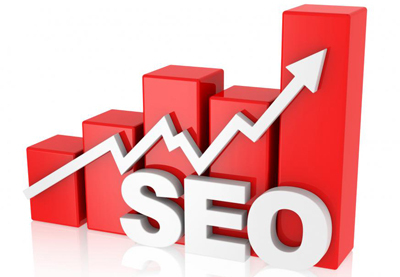 Review Ninja enables you to display your updated information along with your best reviews on optimized microsites that we create for you. These are indexed by Google just like any other website. People talk constantly about the experiences they have at restaurants and other businesses. You can monitor their reviews on sites like Facebook and Google from a single dashboard. 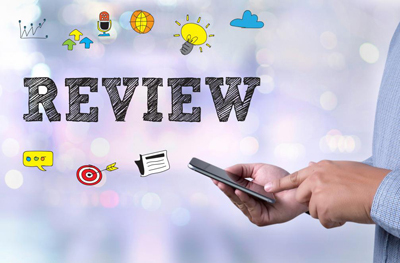 Review Ninja makes it possible for you to respond to customers in real-time, which is especially important for negative reviews. It gives you a chance to make things right before the issue escalates. Customers who leave positive feedback can quickly become advocates for your restaurant. Our tool instantly publishes reviews you choose to your website, blog, social media sites, or any other website that you manage.